Wakie I. Johnson, President/CEO of an established private practice group that has been CARF Accrediated for 11 years. She is a Licensed Professional Counselor certified by the State of Oklahoma as well as a Supervisor. She is eclectic in her approach, focusing on the patient’s well-being and has an extensive background with children, adolescents, adults, family and relationships. She will focus on the patient's concern's, clarify, and assist in taking steps towards resolution. Wakie deems that people are able to attain positive changes in their lives and an effective counselor supports patients while encourages growth. She is a mental health provider, consultant, and supervisor. Wakie has been an advocate for mental health, served as an adjunct professor as well as conducting workshops throughout the state for continuing education. She is a member of the Association for Play Therapy and the Kansas Association for Play Therapy. 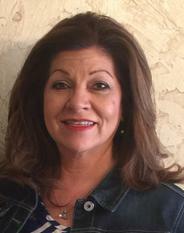 She is a past member of Oklahoma Association for Play Therapy Executive Board and a past President. Wakie I. Johnson, M.Ed., L.P.C. President / C.E.O. Lori E. McGraw has assisted children, individuals, couples and families for over 19 years while working as a Licensed Professional Counselor and Registered Play Therapist, and a supervior for both of these designations. She is on the Families in Transition court house list and a Parent Child Coordinator, as well as a Family and Divorce Mediator. 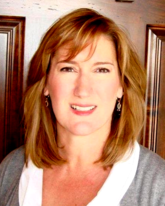 Lori is a member of the Association for Play Therapy and served on the board as the 2008 Oklahoma President. She is active with the Oklahoma Association for Mediators and Arbitrators, featured as an Ask the Expert for 918Moms and volunteers her time in the community for various fundraisers. Training and workshops are available on various topics. Lori utilizes the skills and knowledge she has gained from obtaining a Masters in both Early Childhood and Human Relations to help patients prevent or resolve psychosocial difficulties and achieve optimal growth and development. She is a Licensed Professional Counselor and a Registered Art Therapist. Susie graduated from the University of Kansas in 1986 and earned a Master's degree in Counseling Psychology from Northeasterem State University in 2000. She continued her education at the University of Oklahoma and is now a Registered Art Therapist. 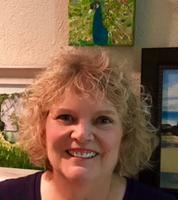 She is a member of the American Art Therapy Association and an active member in the Art Therapy Association of Oklahoma. Susie has experience working with individuals and families in agency setttings, schools and private practice. She has worked with alternative high school adolescents, incarcerated women and their children, and with women in a substance abuse program.